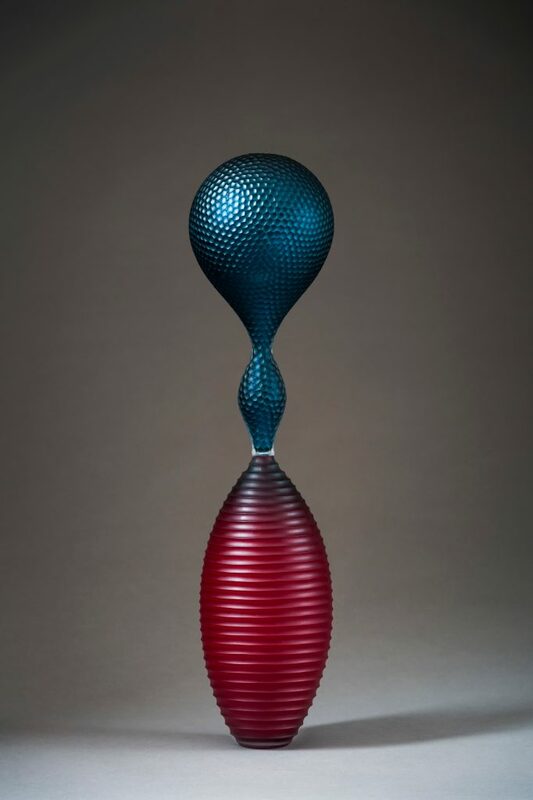 For almost 40 years glass artists Baldwin and Guggisberg have worked and lived together. 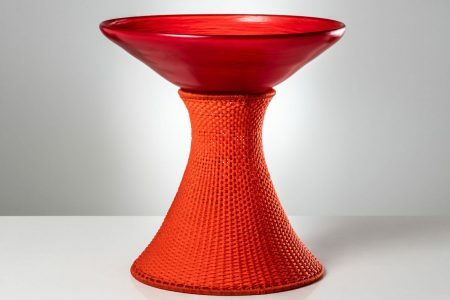 Having met in 1980 in Sweden, when they were learning to blow glass, Monica Guggisberg and Philip Baldwin bonded over the kaleidoscopic possibilities inherent in their chosen material. 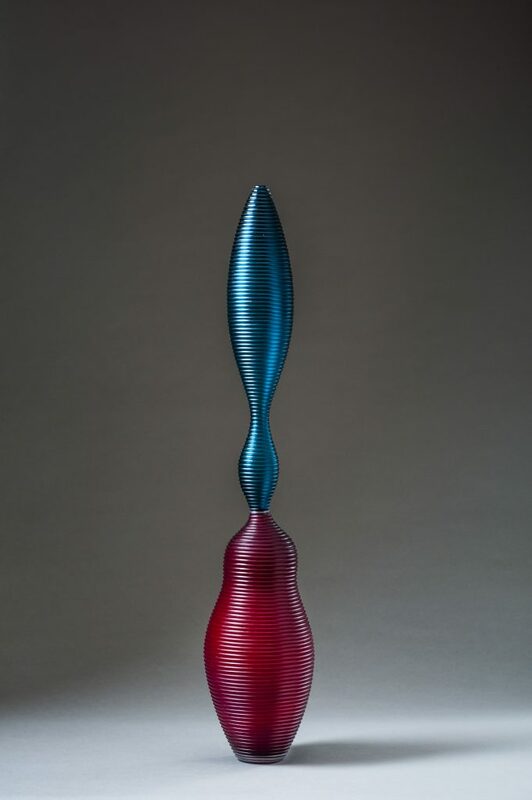 Throughout their career, the duo has explored every aspect of glass from tableware to sculpture to monumental installations, blurring the boundaries between craft, art, architecture and design. 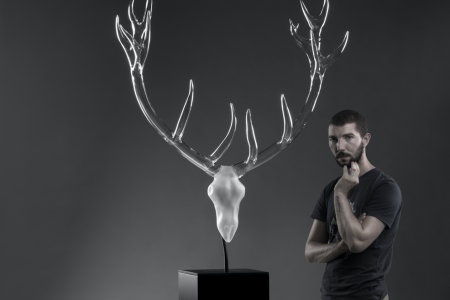 This journey with glass has also led them on a nomadic journey having been based in Switzerland, Paris and finally moving to rural Whales in 2015. 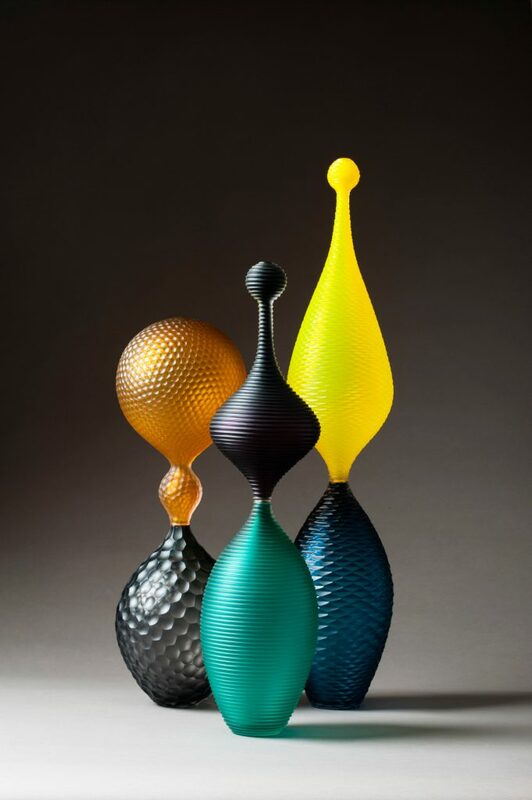 The most recent chapter of their journey brings them to Brussels to Schiepers Gallery to display their colorful, curvy and intricately textured glass pieces. 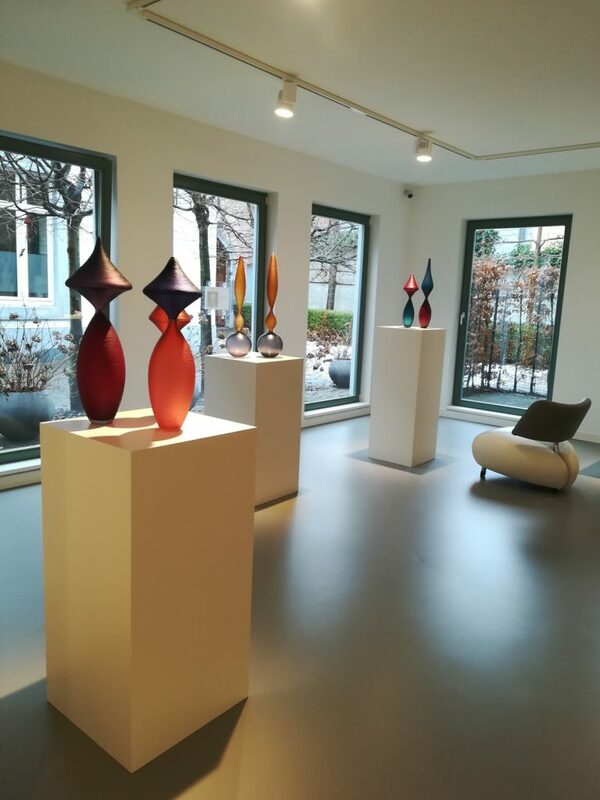 The gallery was set up in 2017 by Sue Schiepers in response to that absence of a space for contemporary glass art in Belgium despite many talented local and international contemporary glass artists. 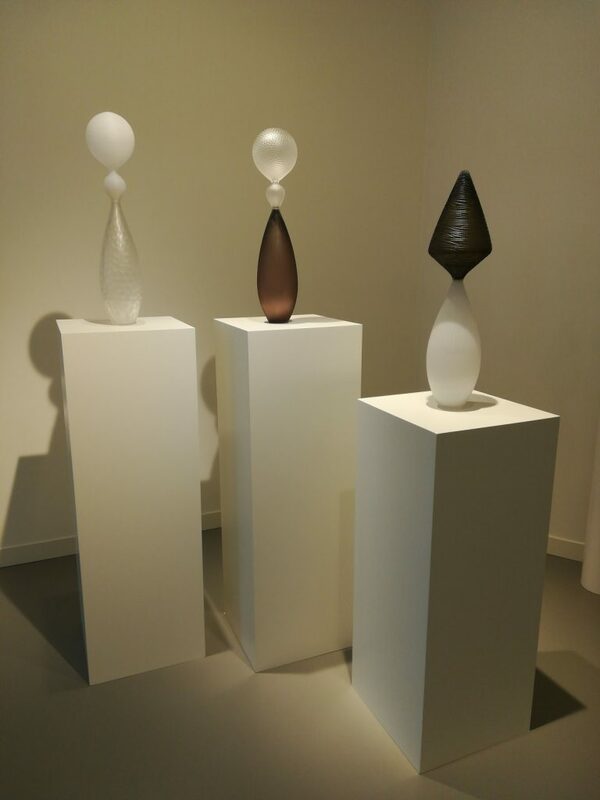 The works on display in the exhibition Baldwin & Guggisberg (USA & CH) include pieces from their Species Novae series and Boats series. 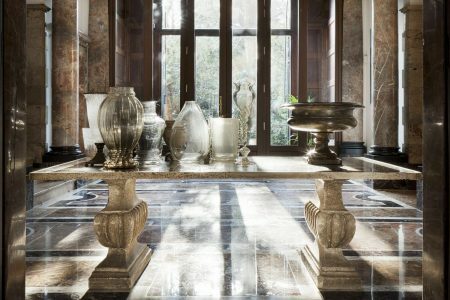 The former is a collection of poetic forms that draw on the history and tradition of Venetian glassmaking by combining the incalmo technique and battuto cutting. 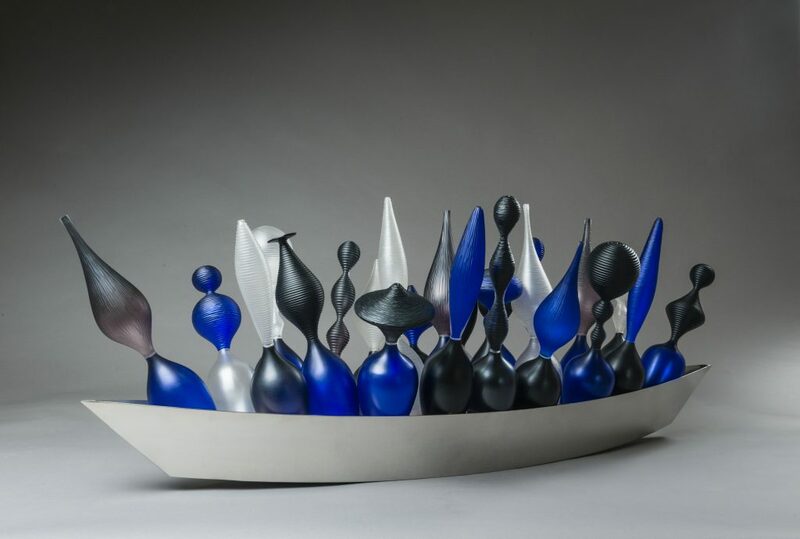 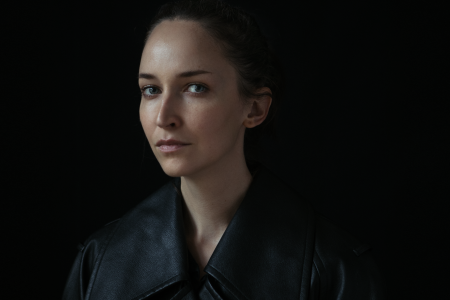 The Boats series plays on the metaphor of a vessel that circulates collecting artifacts and forming layers of memories, the pieces in this series reference past works and experiments of the duo.